To raise awareness of the growing number of Cardiovascular Disease deaths in the U.S., former President John F. Kennedy motioned that the month of February be designated as “National Heart Health Month”. Since 1963 the leading cause of death in the United States is from heart disease and stroke (1 in 3), that’s equal to 2,200 deaths per day! Cardiovascular disease generally refers to conditions that involve narrowed or blocked blood vessels that can lead to a heart attack, chest pain (angina) or stroke. Other heart conditions, such as those that affect your heart’s muscle, valves or rhythm, are also considered forms of heart disease. 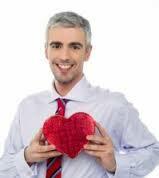 Some people have a family history of heart disease and are at greater risk of developing cardiovascular disease. However, the vast majority of heart disease sufferers create their own risk by choosing poor lifestyle habits such as diet, being sedentary, smoking, abusing alcohol, recreational drug usage, and more. Studies have shown that individuals with the risk factors below are more likely to develop a heart condition. Johns Creek Family Medicine, located across from Johns Creek Emory Hospital campus and serving patients in South Forsyth, Gwinnett and North Fulton counties and surrounding North Atlanta area, can perform tests to determine your risk and whether or not you need to make necessary adjustments for your heart health. So what can you do to lower your personal risk? Begin by making healthier dietary choices and take on a form of exercise that meets your physical ability. If you smoke, Dr. Zack Charkawi at Johns Creek Family Medicine can discuss a suitable tobacco cessation program based on your needs. Diet: Everyone loves a pizza or a slice of chocolate cake every once in a while but some of us indulge in this type of food on a daily basis. Being on a diet does not mean that you have to eat boring “rabbit food”. You must, however, take in fewer calories for weight loss. Choose high fiber and whole grain foods that are low in saturated fat, trans fat, and cholesterol. Fresh vegetables and fruits along with lean meat are very satisfying when prepared well. Dr. Zack at Johns Creek Family Medicine can help you design a diet plan that meets your specific weight loss goals. Fitness and Exercise: Now is the time to get active—don’t wait. You will have more energy, improve your fitness level, and have a more focused mental outlook. In return you could lower your cholesterol or blood pressure and relieve some symptoms of diabetes. Many people are able to eliminate or lower their dosage of maintenance medications through exercise. The Centers for Disease Control (CDC) guidelines recommend at least 150 minutes a week of moderate-intensity activity, along with muscle-strengthening activities for all major muscle groups (legs, hips, back, abdomen, chest, shoulders, and arms) two or more days a week. It is also recommended that you strive to take 10,000 steps per day. It’s all about what works best for you, as long as you’re doing physical activity at a moderate or vigorous effort for at least 10 minutes at a time. If you haven’t exercised for a while, speak with Dr. Zack Charkawi at Johns Creek Family Medicine first. Dr. Charkawi is happy to help you start with realistic and achievable goals. It’s never too late to take control of your life and make important changes to your heart health. We want you to get back on track and lead a happy, healthy life! Contact Johns Creek Family Medicine to schedule a consultation today. Our office is located in Johns Creek servicing individuals from South Forsyth, Gwinnett, North Fulton, and North Atlanta.